The edge of the upper is elastic and soft. We achieve this by using stretch fabrics. 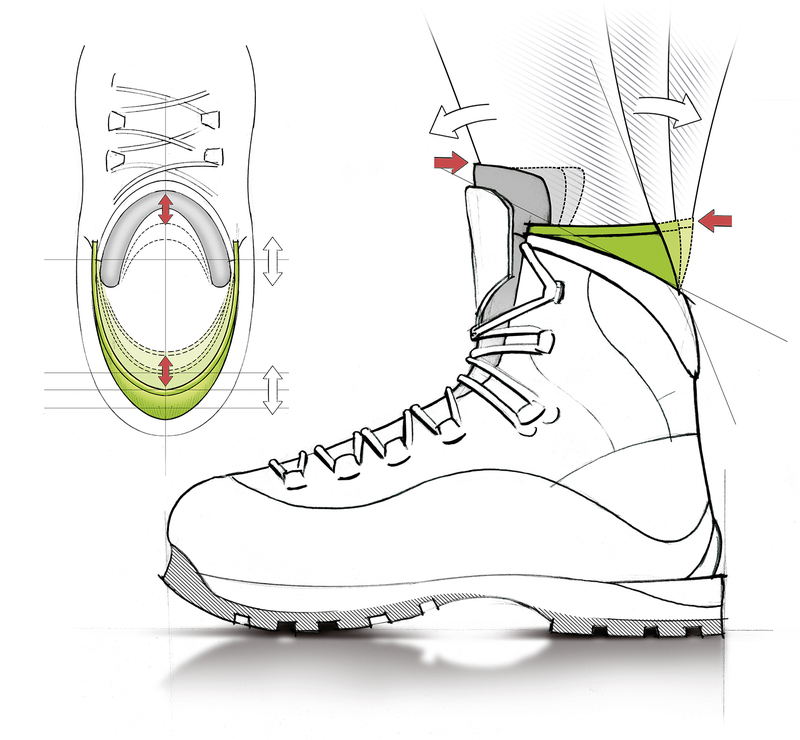 The enclosed tongue-and-cuff system protects the foot against penetration by moisture and dirt. In association with the lacing, this provides a perfect unit with a noticeably pleasant feel.